The “voting”period is now over. All other votes, shares and comments received as of January 27, 2017 will be welcomed by not counted. 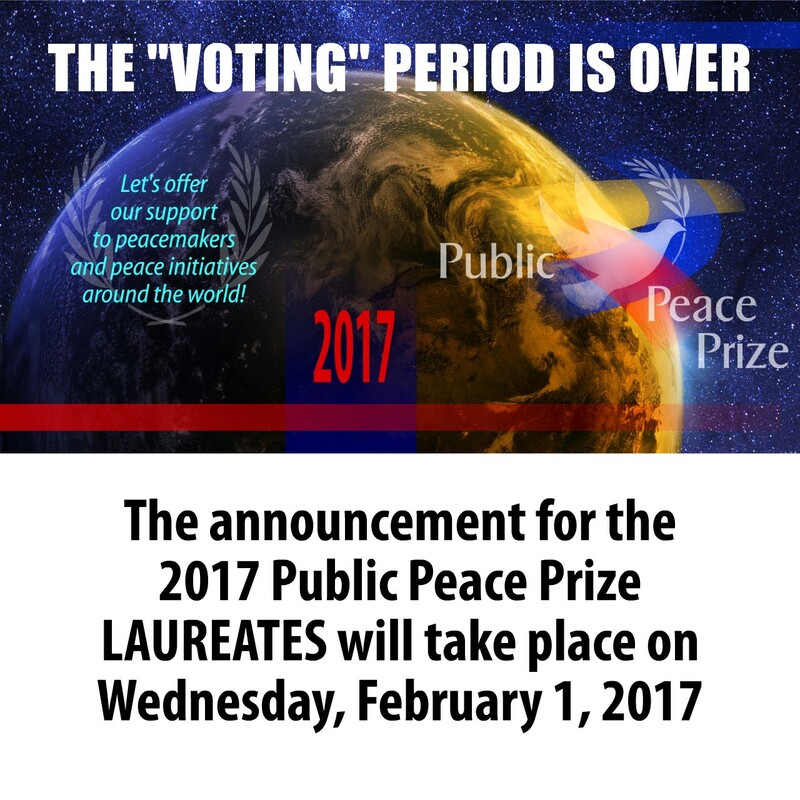 Thank you for every form of support given to the peacemakers nominated for the Public Peace Prize, 2017 Edition. The Public Peace Prize is a citizen’s initiative without borders. Its only goal is to make better known as many peacemakers and peace initiatives as possible. The method of evaluation takes into consideration public support and several other elements, counterbalanced according to the impact of the actions of the nominated person or group and their influence on a local, national or international scale. Every year the jury establishes the prize categories that are best adjusted to the nominations received.